Our classic gin is made in the style known as London Dry Gin: that is gin distilled without adding any new ingredients after the distillation. For a distinctive regional touch, small quantities of rosehip and linden flowers are added before distillation. The recipe also includes selected local juniper and rosehip from Slovenia's remarkable Karst region combined with linden flowers, coriander, cardamon, angelica, liquorice, orris, lemon zest and other traditional botanicals, enhancing the fresh juniper and subtle citrus character of our gin. We carefully source our botanicals from various suppliers, relying on local sources wherever possible and collecting some ourselves. 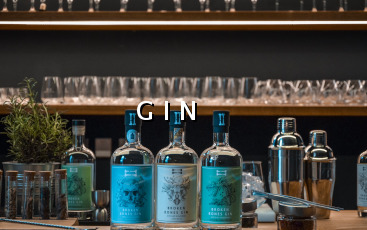 Our selection of Broken Bones gins is produced with the same recipe as our London Dry Gin, to sustain the core fresh junipery and subtle citrusy character of our gin. 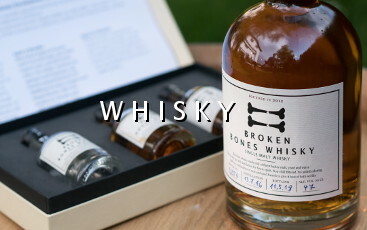 Broken Bones Navy Strength Gin is a fresh junipery and subtle citrusy gin with a unique character, based on traditional recipe with a distinctive Slovenian origin. It is produced with the same recipe as our London Dry Gin, with enhanced doses of selected botanicals. It includes local juniper and rosehip from Slovenia’s Karst region together with linden flowers, coriander, cardamom, angelica, liquorice, lemon zest and other traditional botanicals. Diluted to 57% ABV, Broken Bones Navy Strength Gin is more junipery and spicy, but still dangerously smooth gin. To make our gin, we begin with a molasses base alcohol. This neutral spirit is 96% ABV and is completely flavourless. This is the blank canvas to which we add our own unique blend of botanicals, creating a fresh and distinctive gin with a character all its own. To bring out the finest and most delicate flavours of the botanicals, they are gently steeped in the base spirit and removed from the liquid prior to distillation. Using this method only the finest essence of the botanicals infuses the water and alcohol vapours rising from the boiling pot through the still and the flavours are extracted with minimum force and imbue the gin with freshness and vitality. 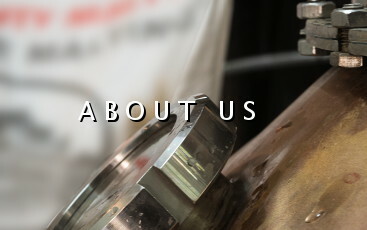 To achieve the best possible results in the creation of our gin we also had our stills made to our own specifications. The infused distillate, which has an ABV over 70%, is rested for several weeks to allow the various flavours to settle in. Water is subsequently added periodically to bring the alcohol level slowly down to drinking strength (45 % or 57 % for Navy Strength). We do not chill-filter our gin to guarantee a rich and robust texture. A pearlescent ‘louche’ may appear when you add ice or tonic.